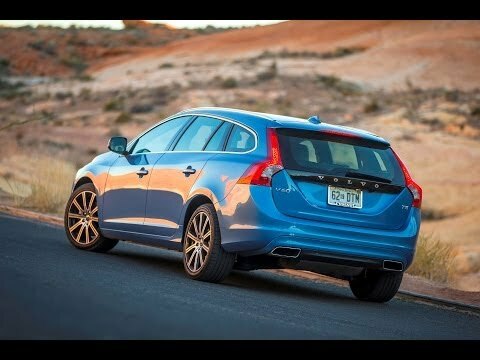 The 2015 Volvo V60 is most fun--and least expensive--when fitted with the base Drive-E engine and front-wheel drive; if you really need all-wheel drive, perhaps you need the family space and cargo capacity of the XC60 crossover as well? The 2015 Volvo V60 puts driving fun over cargo capacity--that's the XC60 crossover's job. 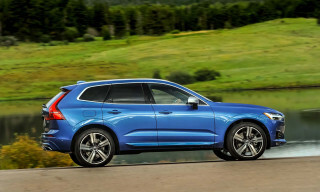 The 2015 Volvo V60 wagon may evoke images of upright, square, boxy Volvo 244 or 760 wagon generations of previous decades. Banish them entirely from your mind. The V60, launched this year along with a mid-cycle refresh to the S60 sedan it's based on, is more of a large five-door hatchback than a classic Volvo wagon. 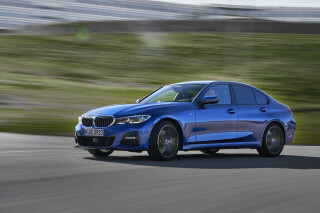 It's a low, sleek, stylish adaptation of the sedan in which a descending roofline supplants the trunk with a steeply raked rear window and opening liftgate. Cargo space is minimal, at least for those U.S. households that tend to carry lots of sports gear--and home-renovation goods, and literally the kitchen sink--at the drop of a hat. Fold down the rear seat, and you get just 43 cubic feet in which to put...well, the stuff people haul around in wagons. If you want the big, boxy wagon-like Volvo, head for the XC60 crossover utility vehicle that's closely related to the S60 and V60. It's got more than twice the V60's cargo space. You'll buy the V60 for entirely different reasons: Volvo is aiming the V60--it says--at drivers who want a vehicle that retains the handling of a sport sedan but with added versatility (and don't want a crossover, obviously). Like its S60 sedan sibling and the XC60 crossover as well, the V60 comes with new and remarkably comfortable front seats as standard. They're heavily bolstered, and high-end models have power adjustment including a variable lumbar support. 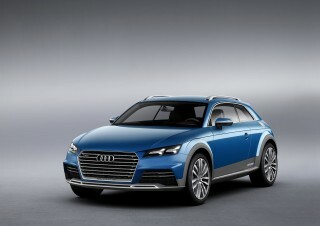 We found them some of the best we're occupied, during almost 300 miles of test-driving among the three models. The one concern is whether broader Americans will fit comfortably, as the bolsters define a set shape to hold the occupant's body snugly in place. While the rear seats are comfortable, and will accommodate two adults or three smaller children, the rear seat cushion sits low to the floor and the backrest is more angled than some may be used to. 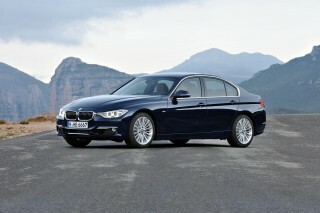 Moreover, legroom is tight in comparison to a number of other mid-size sedans, both premium and more mass-market. Rear passengers may have to bargain with front-seat riders to achieve a mix of leg room that's comfortable for both rows. The rear seat is split into three segments--40/20/40--and provides a pass-through for skis, but like its S60 sedan sibling, the V60 is tight for four adults if they also bring a lot of luggage. The base V60 T5 uses Volvo's new, highly efficient "Drive-E" 240-horsepower direct-injected and turbocharged 2.0-liter four-cylinder engine, producing 258 lb-ft of torque. It drives only the front wheels through a new eight-speed automatic transmission. This is the V60 model with the fastest acceleration: Volvo quotes a 0-to-60-mph time of just 6.1 seconds, and notes that the Drive-E engine has an "overboost" mode, in which its turbocharger can boost torque to 280 lb-ft under hard acceleration for up to 10 seconds. That engine now includes a start-stop system as standard--it's quick and pretty much imperceptible on the restart, which not all of them are--and all V60 models offer three drive modes: Normal, Sport, and Eco+, which cuts off the air conditioning and remaps the throttle and transmission for more efficient performance. The eight-speed automatic shifts smoothly and quietly, and after a short while, occupants will stop noticing that it shifts more often than transmissions with fewer gears. The one exception is under hard acceleration, where three downshifts are common and we even had one case where the transmission shifted down four separate times in rapid sequence to get the engine to its maximum power band. For buyers who must have all-wheel drive, the middle of the V60 range is the T5 AWD model, which pairs an older 250-hp 2.5-liter five-cylinder engine to a six-speed automatic transmission and the company's acclaimed Haldex all-wheel-drive system. Finally, the T6 R-Design offers the most powerful engine in the range, a 325-hp turbocharged 3.0-liter in-line six that's also paired with the six-speed automatic and all-wheel drive. Fuel efficiency for the new V60 is at its best with the Drive-E engine and front-wheel drive, at 29 mpg combined (25 mpg city, 37 mpg highway). The T5 AWD model comes in at 25 mpg combined, and the T6 R-Design at 23 mpg combined. Noise suppression is good, but the most notable thing about the V60 is that it handles like a sport sedan, with a firm but smooth ride. Our test car was fitted with 19-inch 'Bor Diamond-Cut' alloy wheels and low-profile tires, which we suspect didn't do the ride any favors. We weren't able to drive a V60 with the standard wheels and tires. Centering action in the steering is good, and overall the V60 imparts a confident feel and seems a worthy competitor to German sport wagons despite its less-prestigious Swedish brand name. From the driver's seat, the Thin-Film Transistor (TFT) screen that displays entirely virtual gauges is crisp, clear, and bright. Drivers can toggle through a variety of functions and settings, including route directions, audio-system information, vehicle performance data, and a number of other functions. The dashboard itself was made of some of the firmest soft-touch material we've seen, with a subtle pattern in the black plastic rather like an animal hide. The sweep of black plastic comes off as somewhere between sober and severe, at a time when sport sedans are adding luxury touches--brushed chrome trim, contrasting stitching, et cetera. Some of that feel can be restored by the handsome two-tone leather upholstery option. The classic Volvo "floating console" has quite a number of small rectangular black-plastic buttons, and while common functions like audio volume and mobile-phone control are on the steering wheel, some of the secondary functions require attention to find. That's about the only safety concern that anyone could raise about the V60, however. 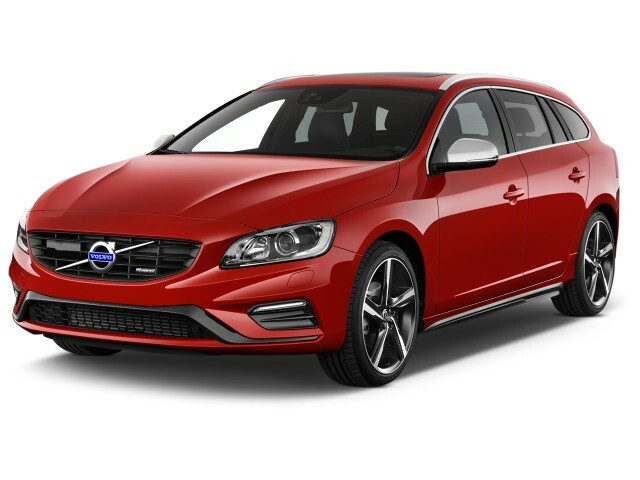 As a new model, the Volvo V60 hasn't yet been rated for crash safety by either the National Highway Traffic Safety Adminstration (NHTSA) or the Insurance Institute for Highway Safety (IIHS), but if the results for the S60 sedan are any guide, it should do very well indeed. The Volvo S60 was an IIHS Top Safety Pick+ in 2014, and it scored across-the-board five-star ratings on all NHTSA tests for 2015. As well as the usual compliment of airbags, the V60 offers a suite of standard and optional electronic active-safety systems. These include adaptive cruise control, a rear-view monitor, a blind-spot information system (BLIS), and the City Safety system that detects obstacles ahead--recently updated to include both pedestrians and cyclists--and warns of the driver of impending collisions. If the driver doesn't respond, the City Safe system will brake automatically to avoid the collision or to reduce its severity if the car cannot stop in time. One final note: A button on the console let the driver flip down both outboard rear-seat headrests, opening up a full view out the tailgate window in the rearview mirror. It is a hugely helpful feature when the back seat is empty, and it's one that we think should be fitted to every new car. A moonroof is standard equipment on all Volvo V60 models, and trim levels for the T5 FWD and the T5 AWD models are grouped in Premier, Premier Plus, and Platinum packages, with only one higher-level trim--the Platinum--offered on the T6 AWD R-Design. 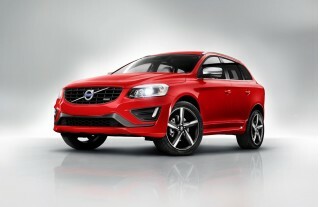 Details of the packages vary by model, and are relatively complex for what Volvo expects to be a low-volume model. Leather seating, a Technology package that includes most of the active-safety systems, and a premium audio system are among the items that can be added, with the price difference between the base and top-level version of each model being $5,000 or more. Prices start at $35,300 for the front-wheel-drive V60 T5, rise to $36,800 for the T5 AWD, and top out at $44,300 for the top-of-the-line, all-wheel-drive V60 R-Design model. Options can take the total close above $48,000 for a fully featured R-Design car. 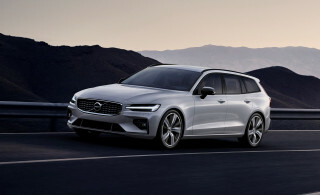 The company says customers have reacted enthusiastically to the return of the traditional (non-crossover) Volvo wagon, but whether it's being cross-shopped against the Acura TSX Sportwagon, Audi Allroad, and BMW 3-Series wagons that Volvo is benchmarking remains to be seen. If you want cargo space and hauling capacity, this is probably not the Volvo for you--look toward the Swedish brand's three different utility vehicles. Great car, but function follows form. Beautiful, distinctly designed wagon. The Drive-E drivetrain is powerful and economical at the same time. The car drives like a smaller vehicle and retains the high quality Volvo seats & interior which make... Beautiful, distinctly designed wagon. The Drive-E drivetrain is powerful and economical at the same time. The car drives like a smaller vehicle and retains the high quality Volvo seats & interior which make this a great drive-all-day vehicle. Minuses: The infotainment system is sluggish and takes nearly a minute to come to life in a cold start situation. The shape of the car reduces cargo area, and the back seats are tight for anyone over 5'6". Overall: This is a great car and has been trouble-free for over 33K miles. My wife & I both enjoy getting behind the wheel, and the functionality of a wagon is hard to beat. 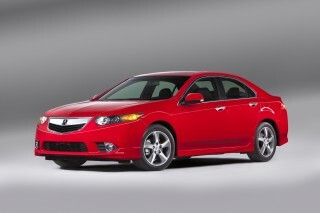 Fabulous car, beautiful, sporty and practical all in one, best seats under $100 grand. Absolute trouble free, I'll put it with any of the Germans for a lot less money. I enjoy every single mile in the car. V60 with real life consumption of 3 l / 100 km. The V60 plugg in hybrid is a almost perfect car. I would have loved to have an electrical range of 100 km. Official range is 50 km, practical range 40-45 km.